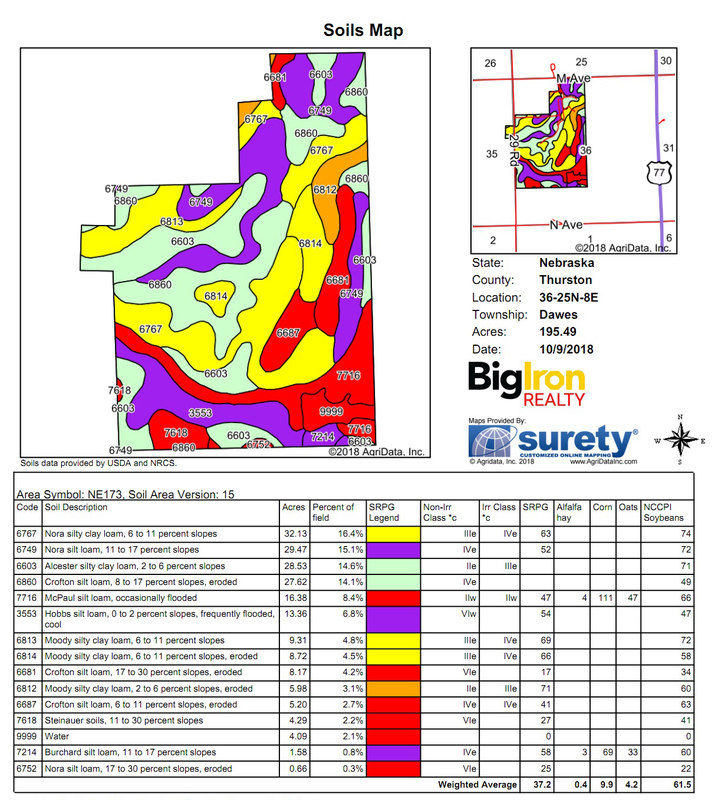 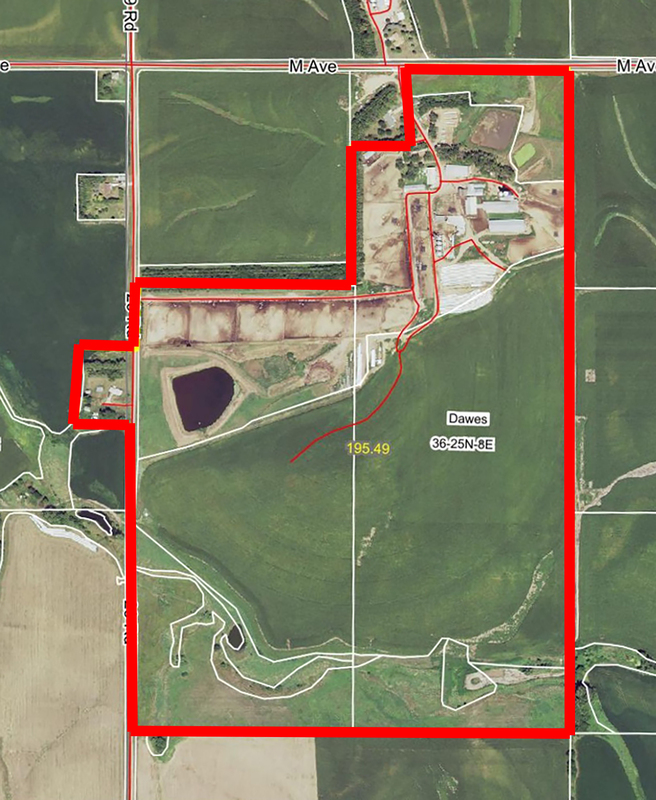 Legal Description: Part of the NE ¼ of the NW ¼; the S ½ of the NW ¼; the N ½ of the SW ¼ all in Section 36-25-8E containing 197.1+/- acres & an approximate 3 acre tract located in the SE ¼ of the NE ¼ of Section 35-25-8E all in Thurston County 200.1+/- acres. 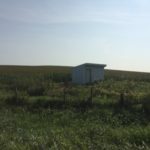 Final acres will be determined upon the completion of a survey. 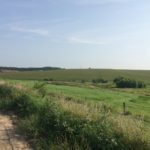 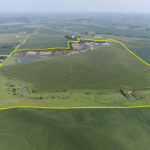 General Description: There are approximately 96 acres of crop ground, 41 acres of grass and the balance is the yards, home, lagoon and building site. 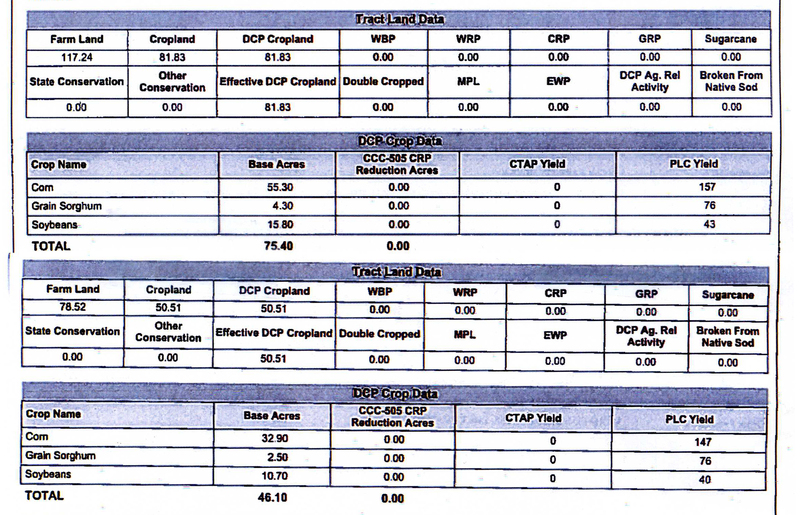 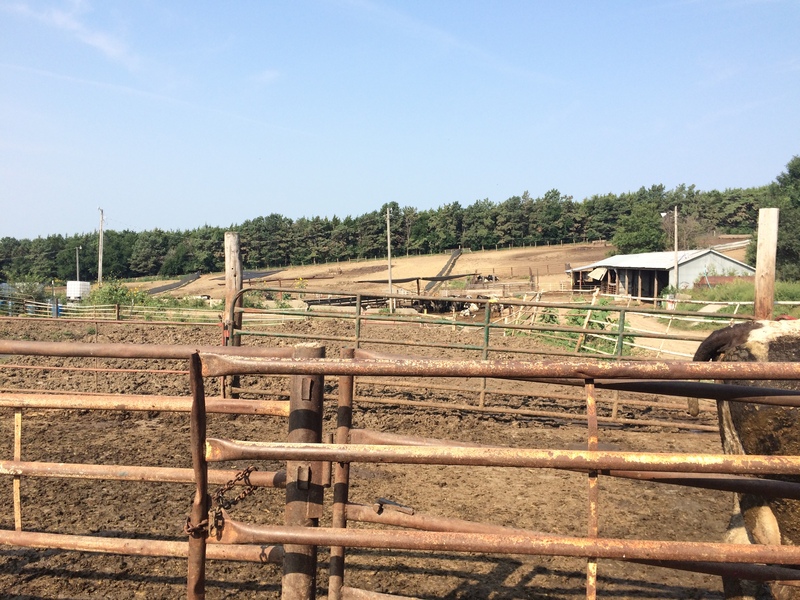 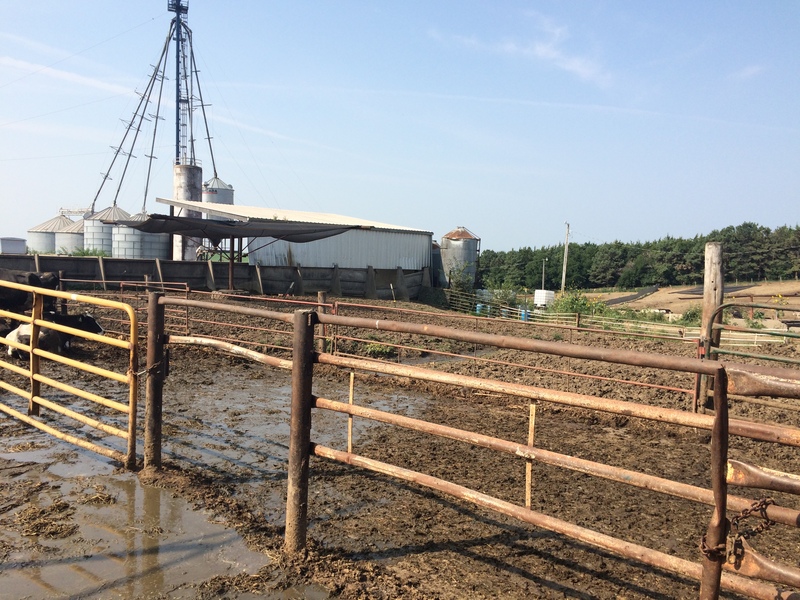 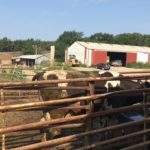 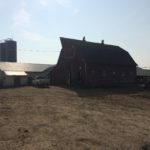 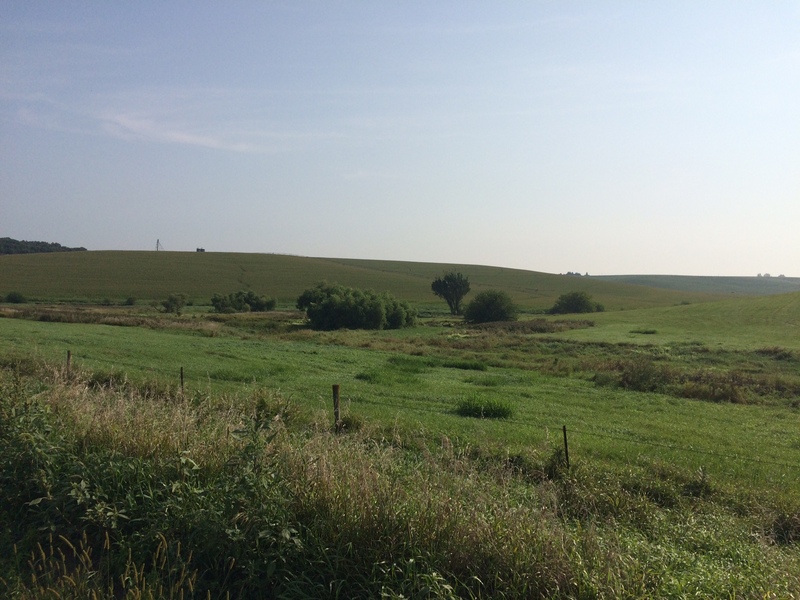 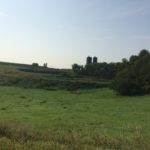 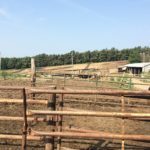 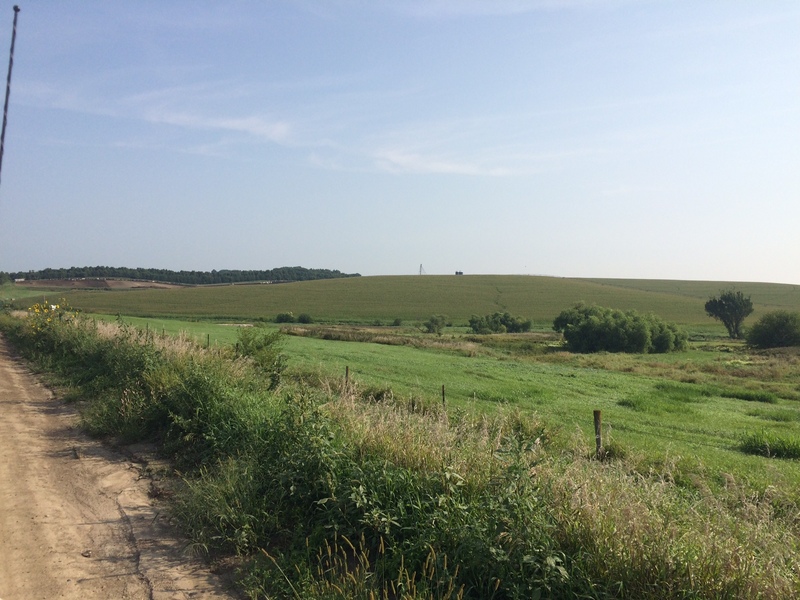 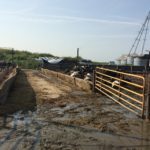 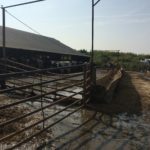 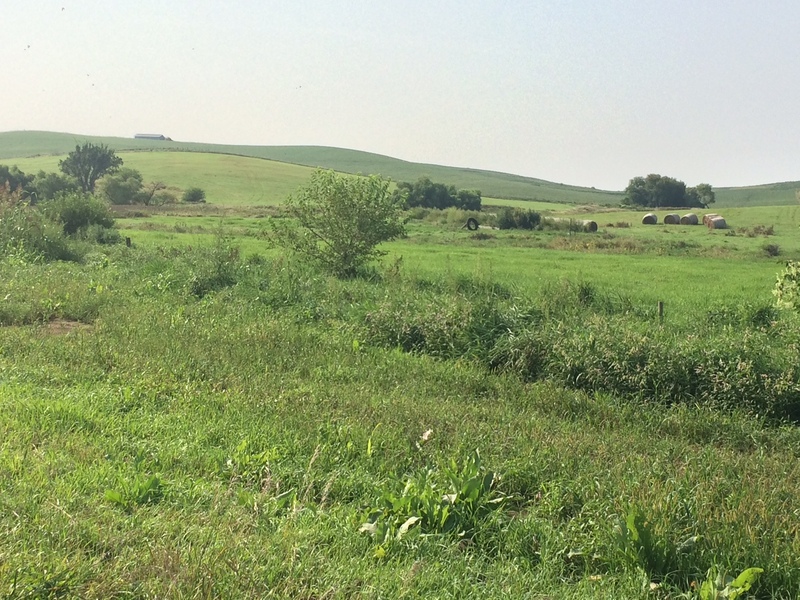 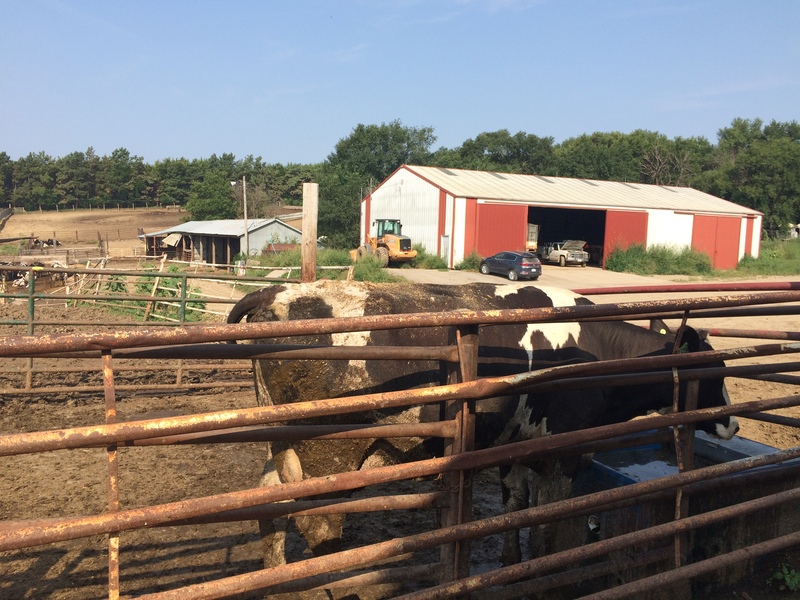 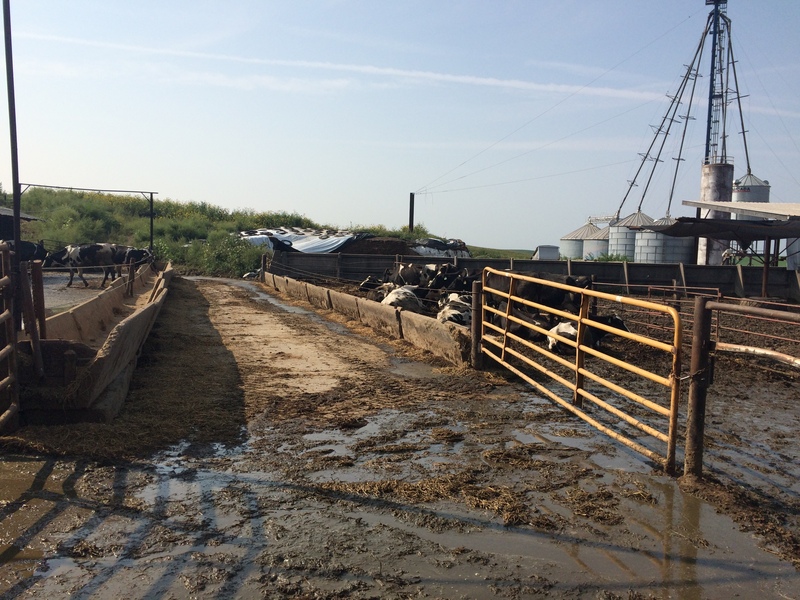 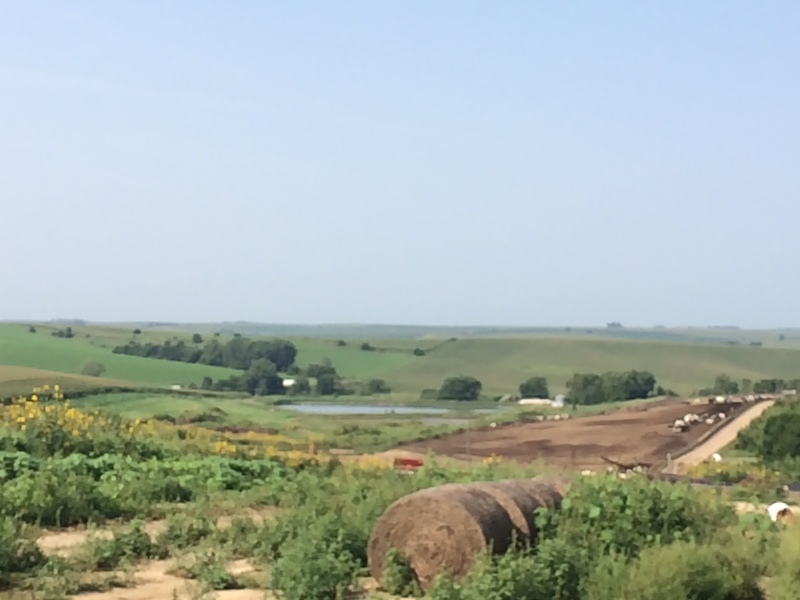 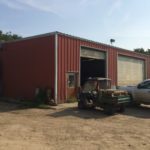 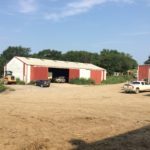 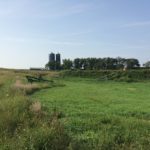 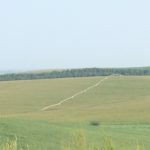 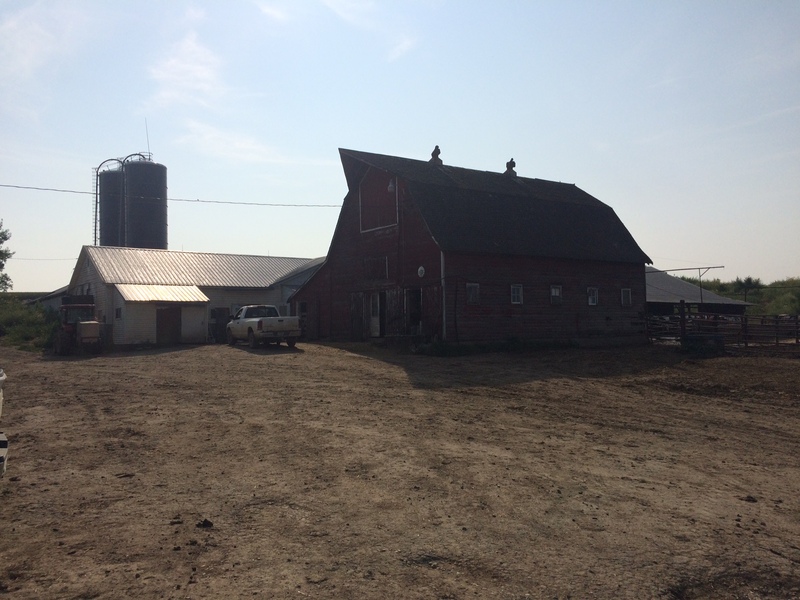 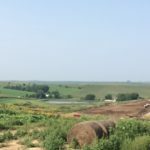 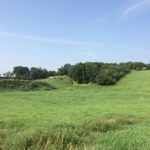 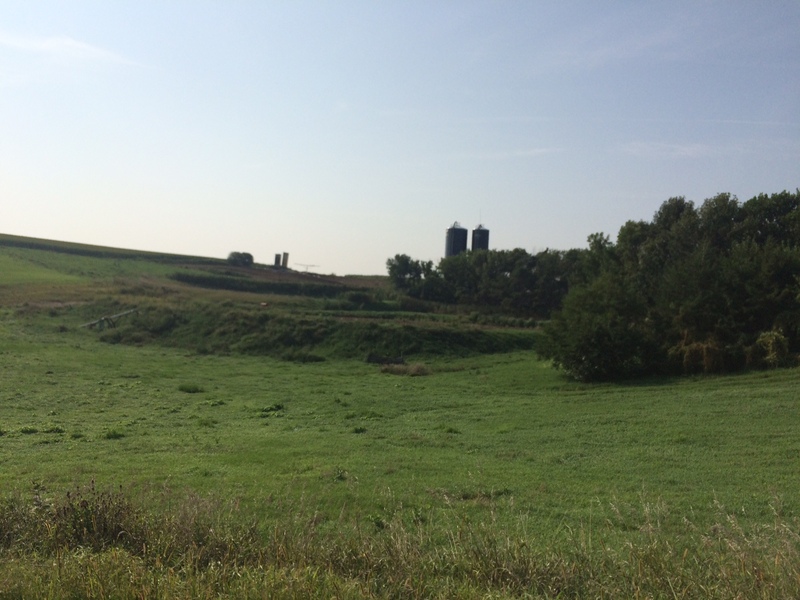 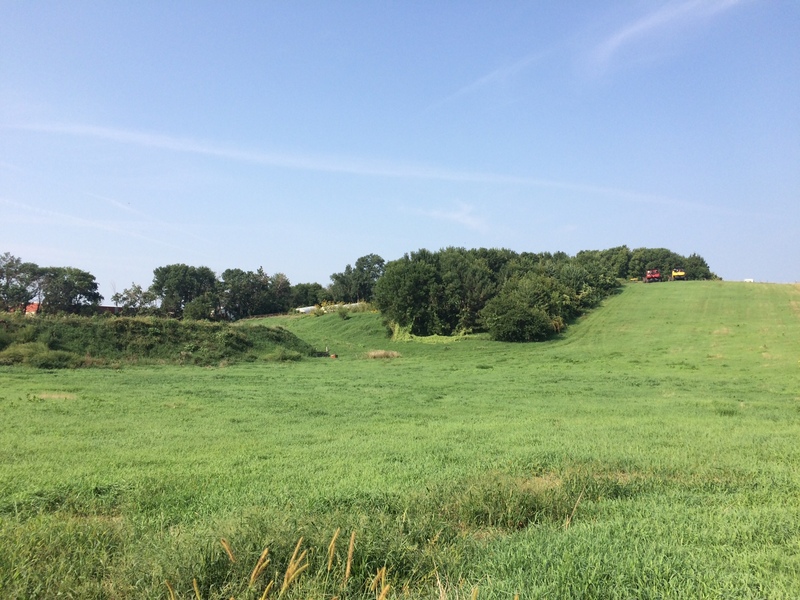 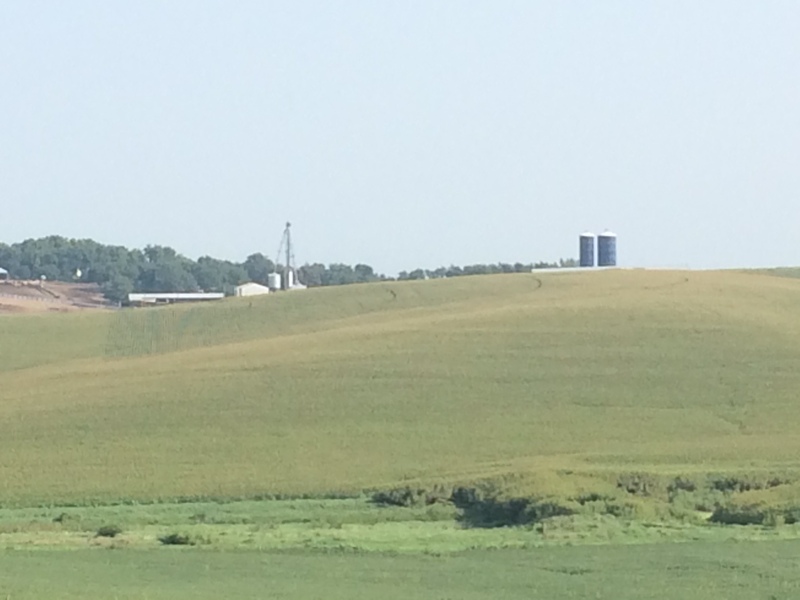 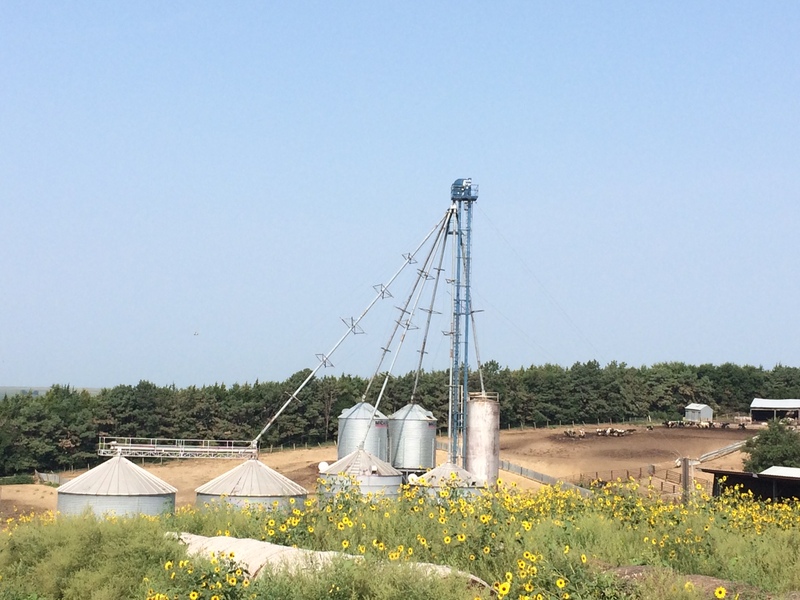 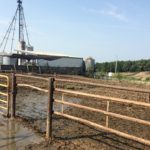 It currently has a DEQ permit for 600 dairy cattle and 2,500 feeder cattle. 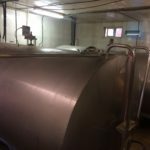 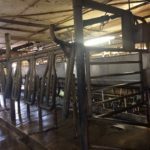 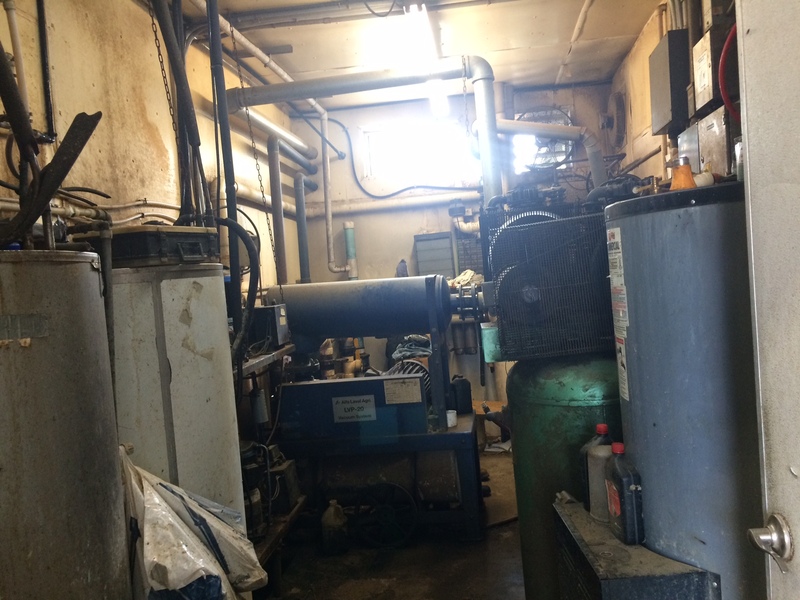 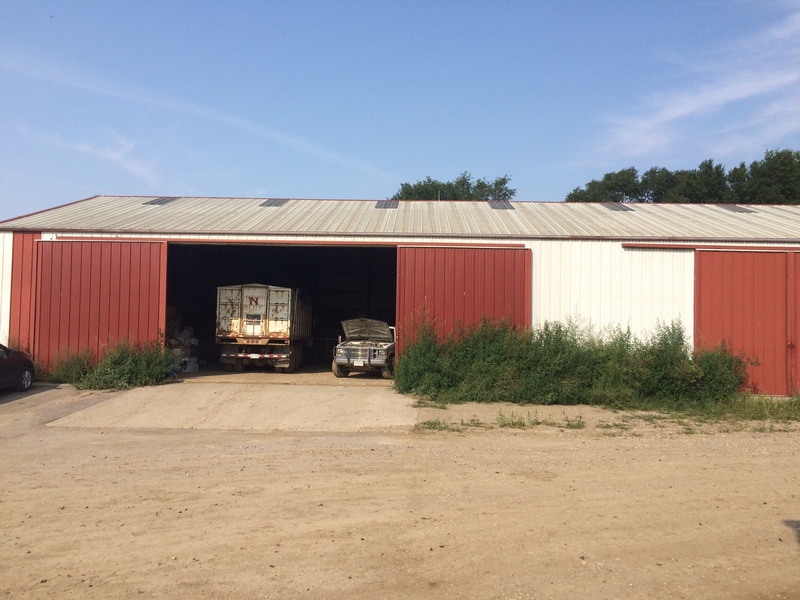 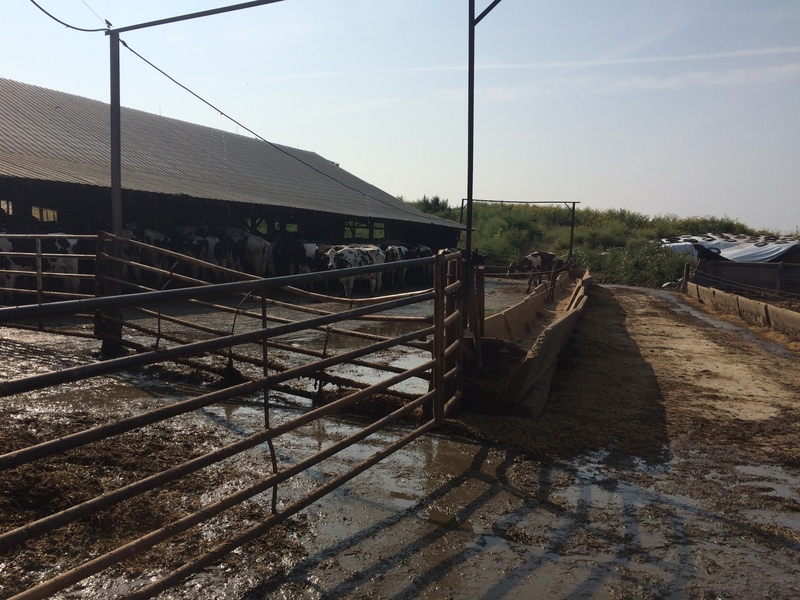 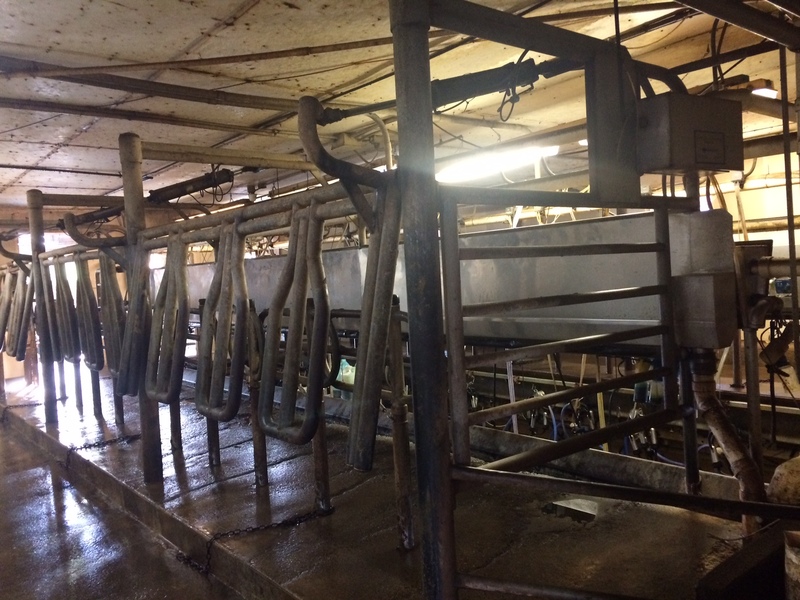 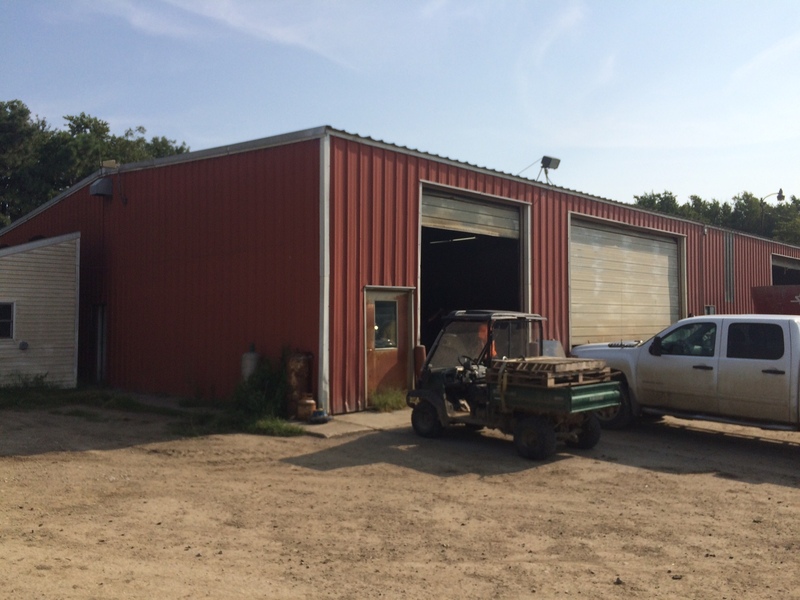 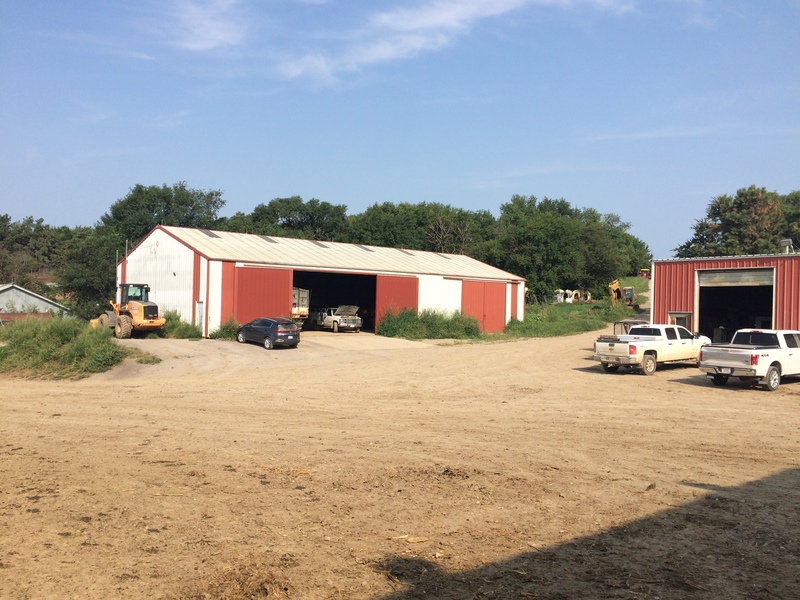 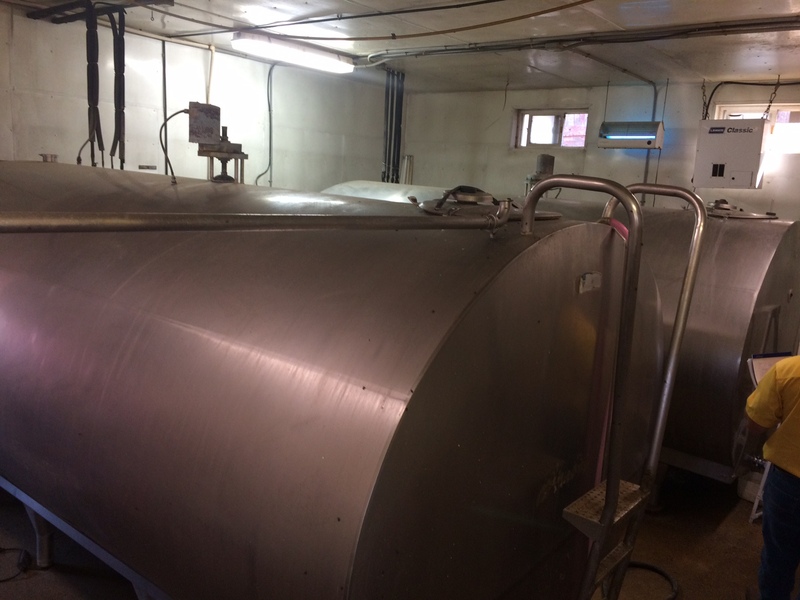 There are two large dairy barns which are 60 x 200 & 48 x 96; two machine sheds which are 60 x 125 & 49 x 99. 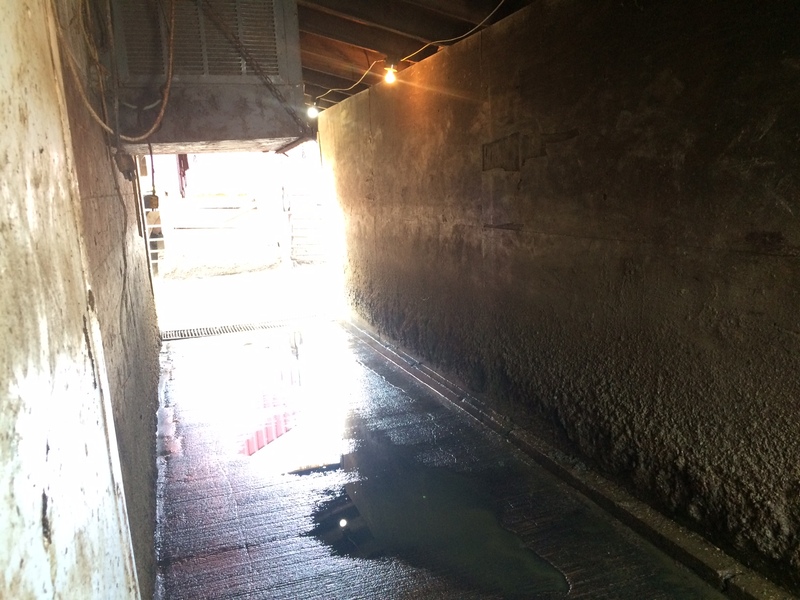 Both are fully cemented. 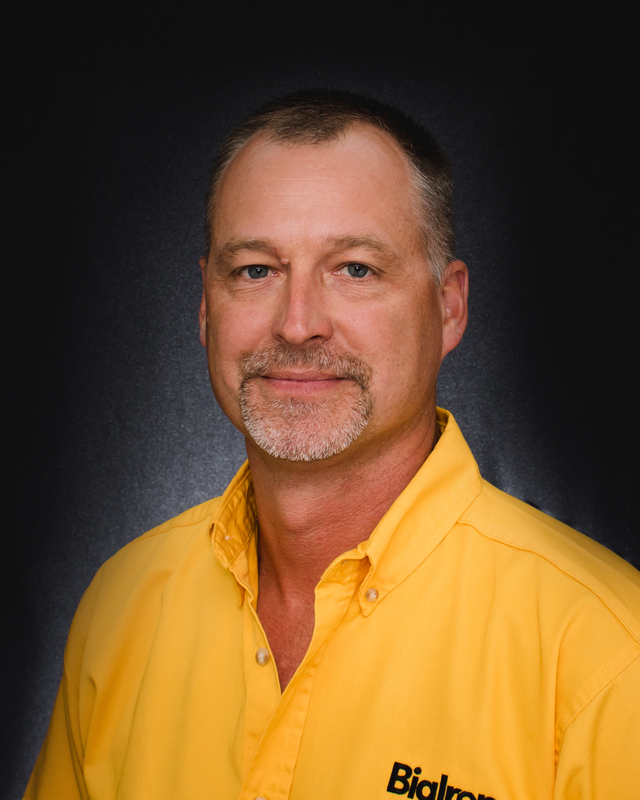 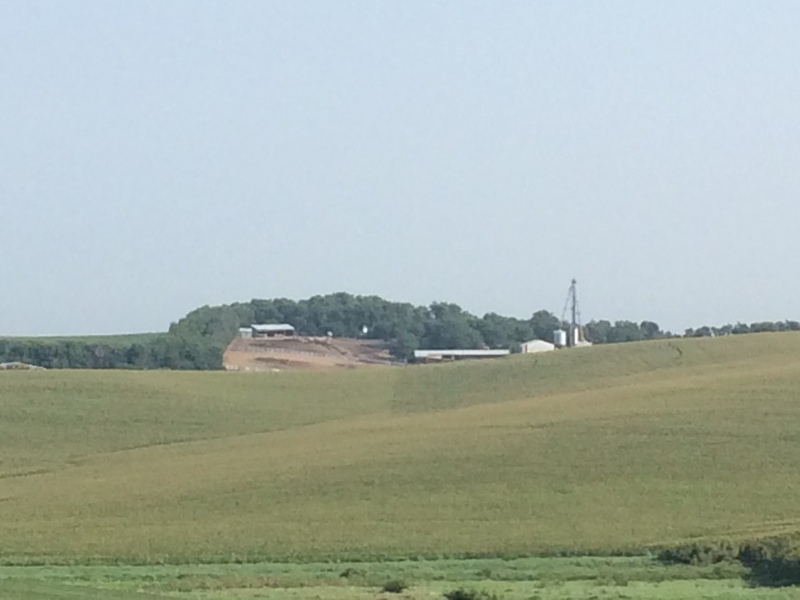 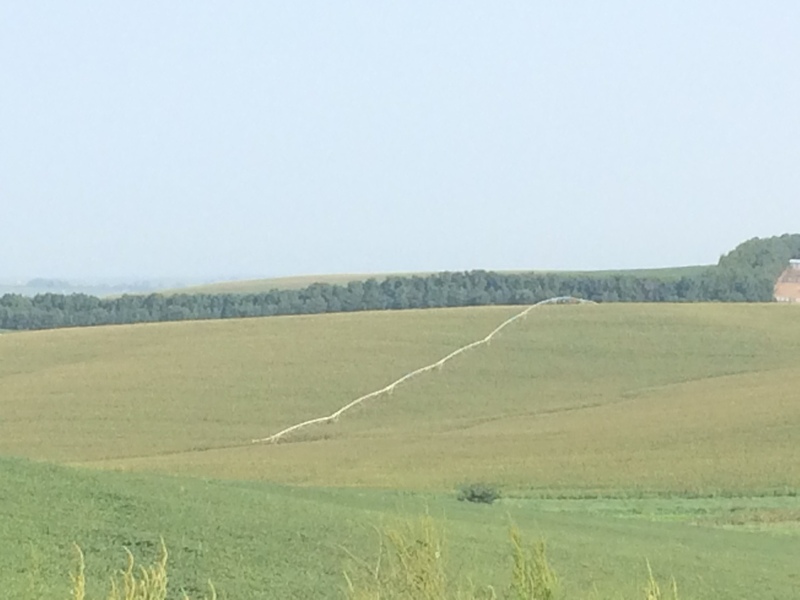 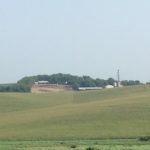 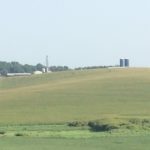 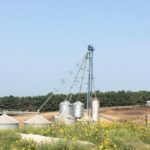 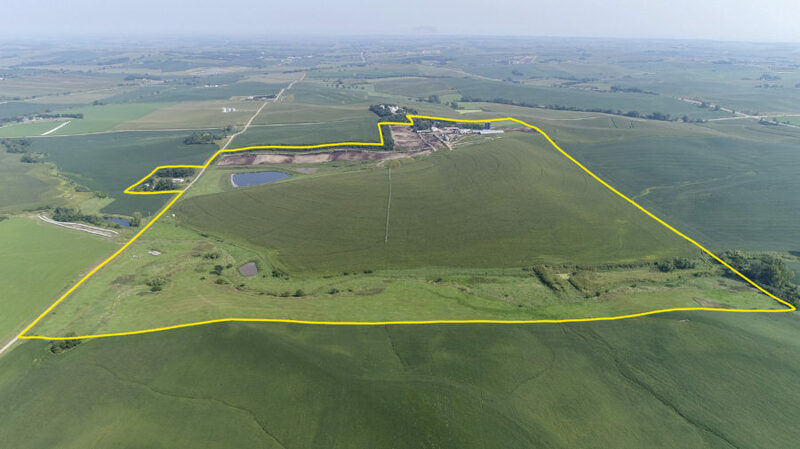 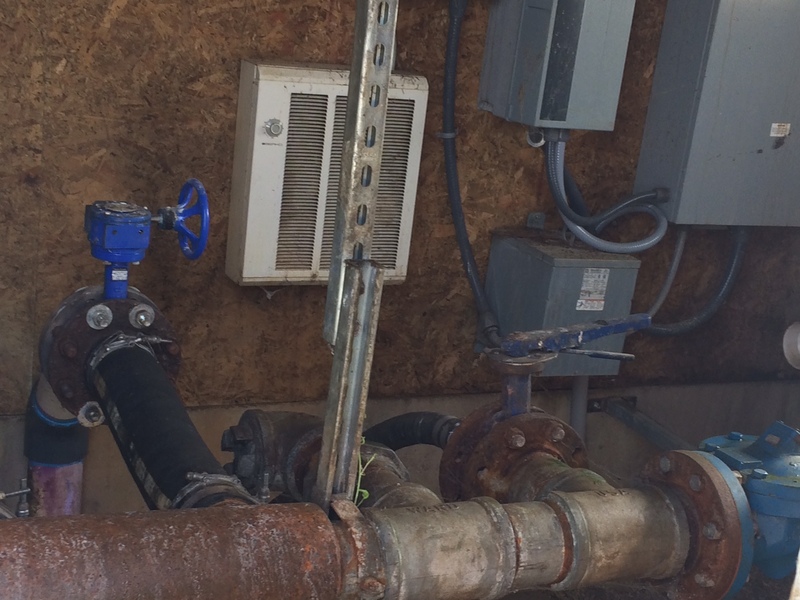 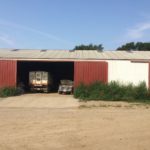 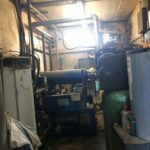 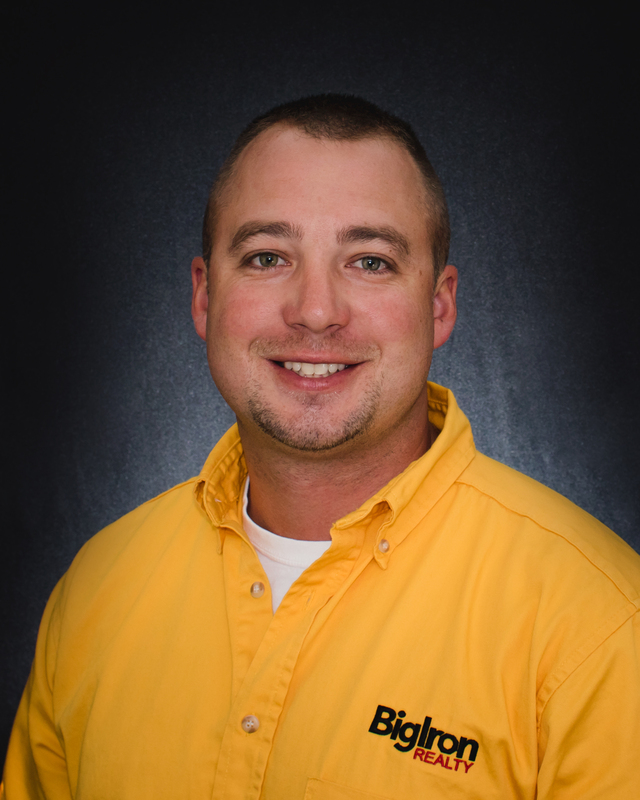 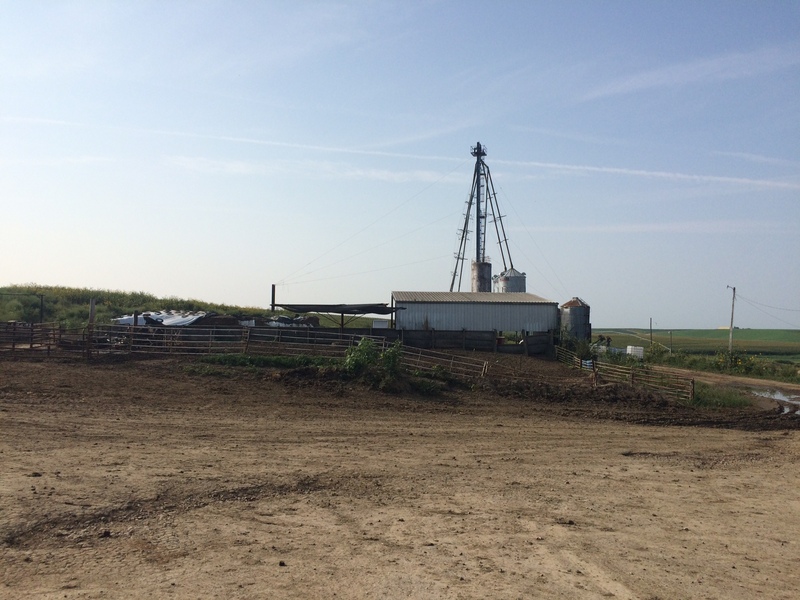 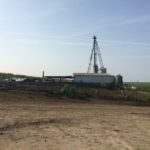 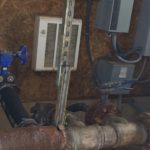 Sellers state that there is approximately 35,000 bu of grain storage, just over 20,000 gallons of water storage and 16,000 gallons of fuel storage with two underground fuel tanks. 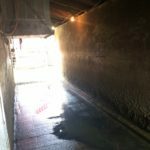 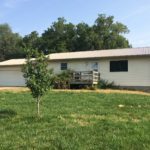 Also included is a 1,120 Sq Ft home with a basement that was built in 2009 which would make a great place for hired help. 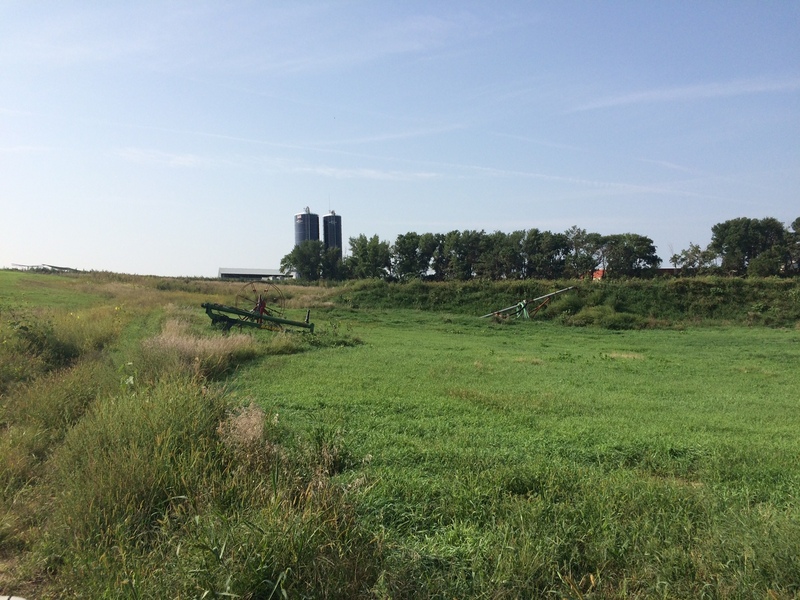 The lagoon water is applied with a 9-tower Valley Pivot which is also included. 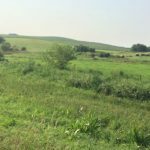 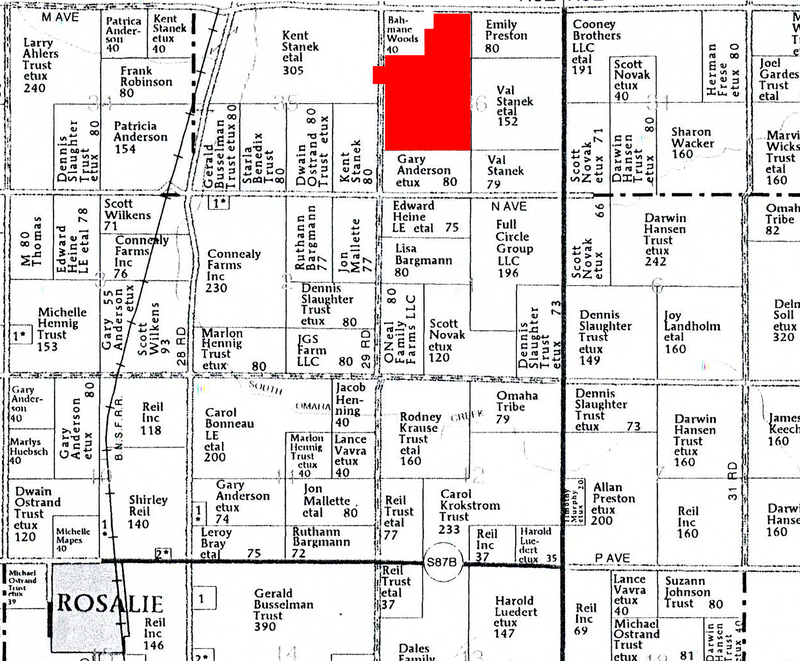 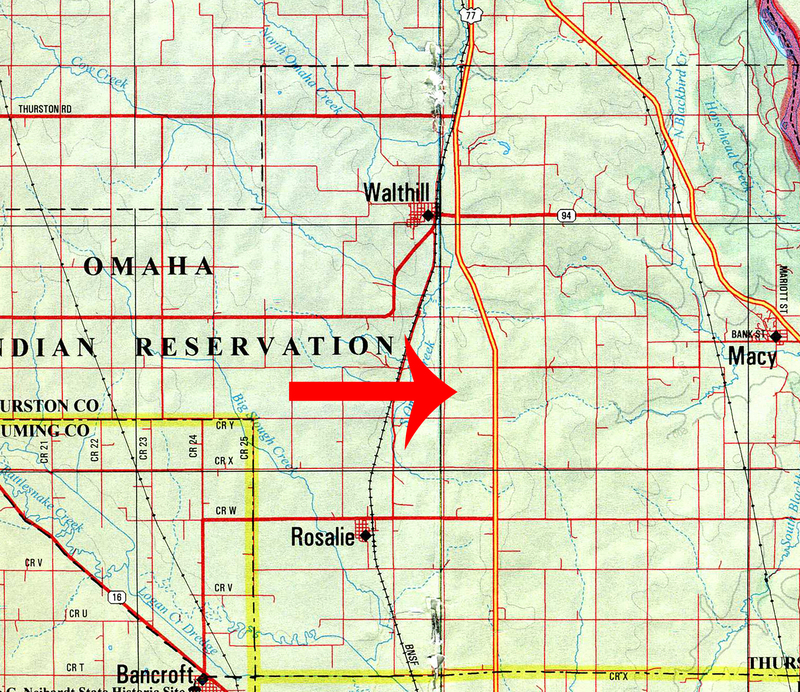 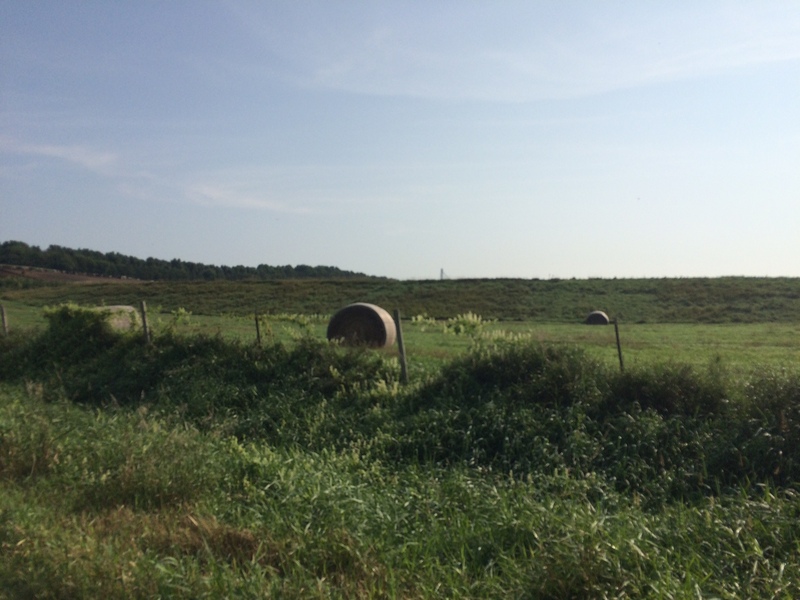 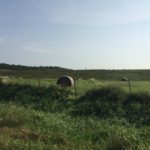 Land Location: From the intersection of HWY 77 and M Ave between Walthill & Rosalie, go ¾ mile west. 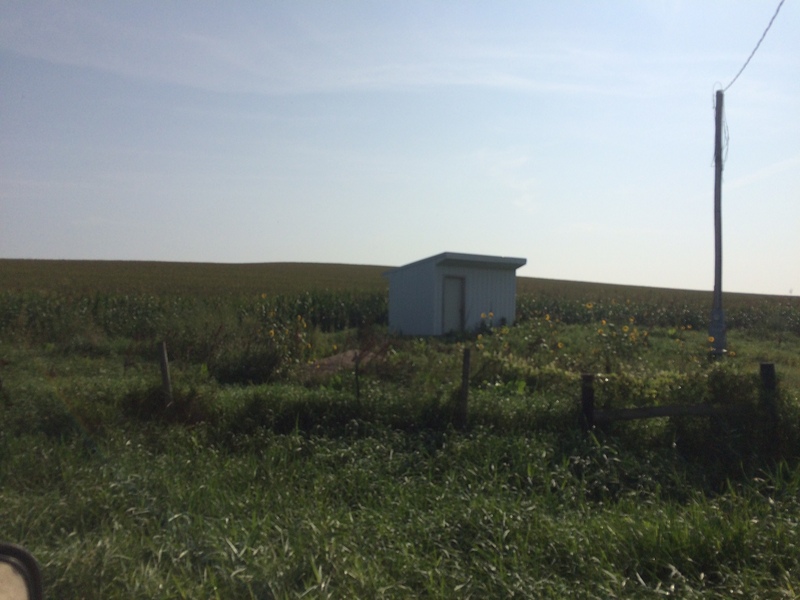 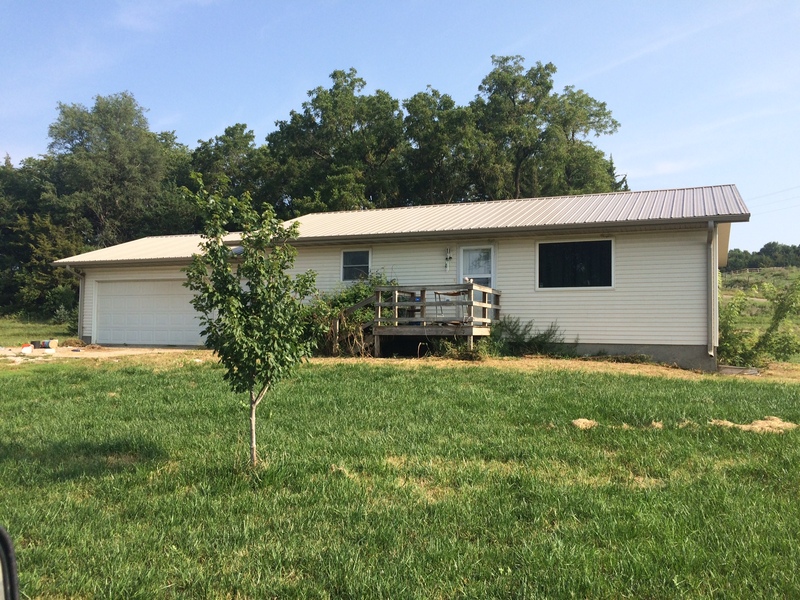 The property will be on the south side of the road.